Have you ever lost some of your important voice memos due to deletion by mistake, misoperation, cache data cleaning or factory reset? The lost voice memos may contain important information like the date of an important meeting or place to meet your good friends, or time of final test and so on. Maybe you can recover the data of voice memos if we have made a backup with iCloud or iTunes before. However, this recovery method will face the risk that the data will be erased if it has not yet been backed up. In this article, you will learn how to recover the deleted voice memos from iPhone X/8/7S/7/6S/6/ directly as well as to view and selectively recover deleted voice memos from iCloud backup by iPhone Data Recovery. You should note that in order to prevent the data loss being covered by newly recorded data, you are recommended to stop using the iPhone as soon as you find your data lost. iPhone Data Recovery has the powerful function of recovering voice memos as well as other phone data. It supports to access and preview all the voice memos or other data in your iTunes or iCloud backup files, and you can selectively choose which specific voice memos file you want to restore. 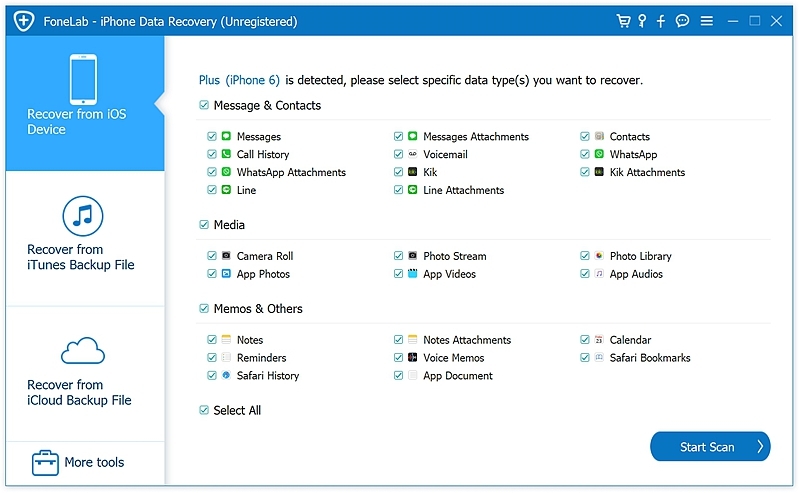 You can also recover deleted data directly from iPhone without backup with the help of this software. 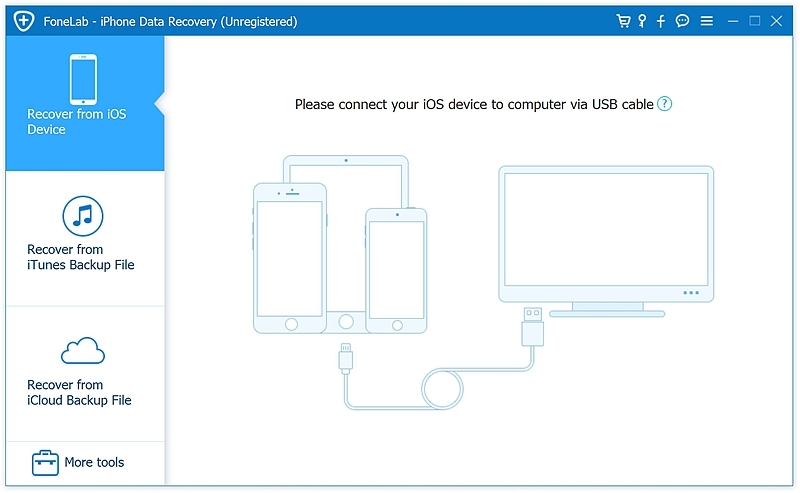 Step 1: Launch iPhone Data Recovery and select the “Recover from iOS Device” feature. Next connect iPhone to computer. 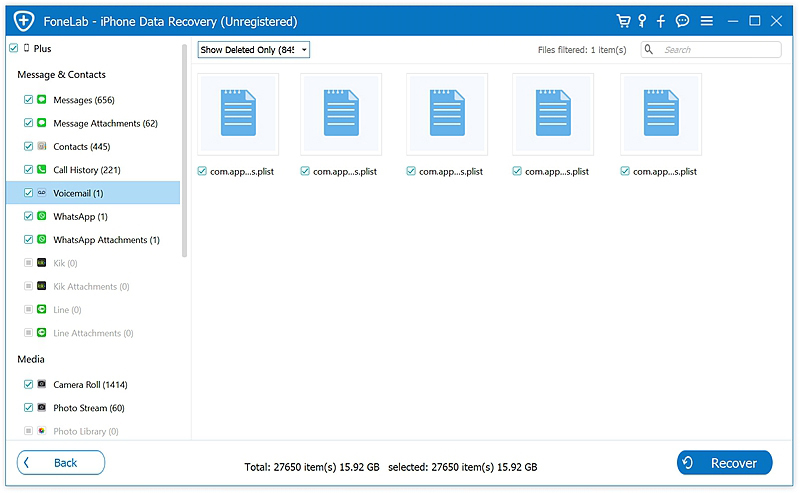 Step 2: Data Recovery allows you to select what data types you want to recover. As you see, there are option boxes for specific data types and contents so you can selectively choose the “Voice Memos” as your target data to save your time of waiting. Then click “Start” button to begin scanning. Step 3: Scanning your iPhone may take some times for the substantial data. Please wait several seconds for detecting and scanning work. Step 4: After scanning work done, select the box besides “Voice Memos” from the choosing catalog, and then click the button “Recover to Computer” to finish saving data. In this part, you can selectively save every single voice memos files you prefer by ticking the listed files on the content presenter. 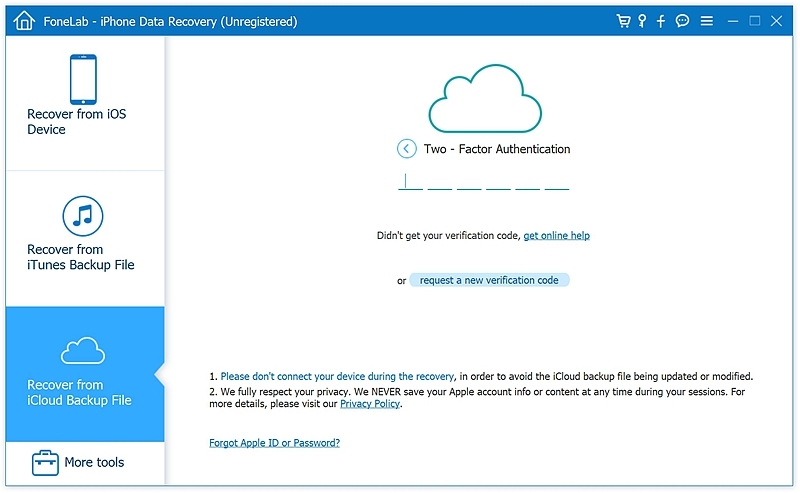 If you can’t access your iPhone because it’s broken and cannot turn on or just been stolen, the iPhone Data Recovery could help to scan your iCloud backup file so that you can preview M4A file of those lost voice memos, giving you freedom choices of restoring the voice memos you want. It is simple and easy to do this by few clicks. Follow the steps to export voice memos from iCloud backup. 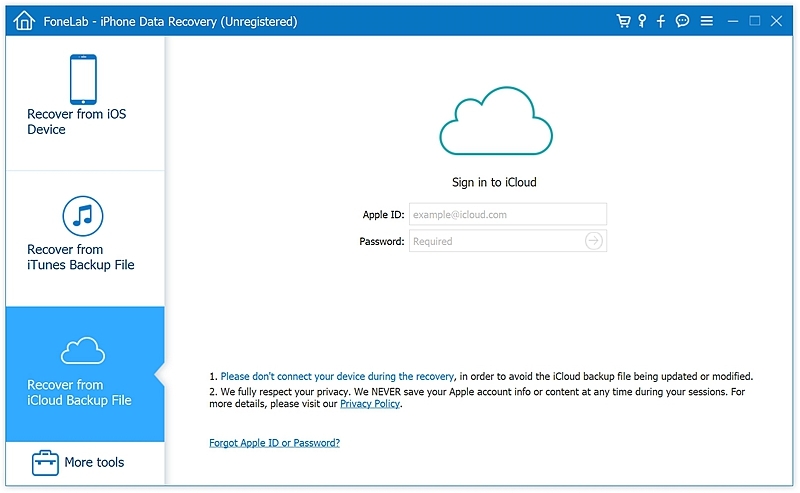 Step 1: Run the iPhone Data Recovery and select the “Recover from iCloud Backup File” option. Step 2: Then log in your iCloud account and password. And your need to type in the verification code which will be sent to your iPhone. Step 3: After logging, the software will show you all your available iCloud backup files. You may choose the latest backup from which you want to extract the data, for the latest one has your most recently data. And next you can select the files types shows in pop-up windows to download and click “Next” button. The software will then scan your iCloud contents. It will take few minutes to complete. Step 4: After scanning, preview the recovered voice memos from the list and choose the data you need, then click on “Recover” button to save the voice memos. Note that do not disconnect your iPhone until the process is completed. As you see, iPhone Data Recovery is a handy tool successfully recovering the data from the backup devices. 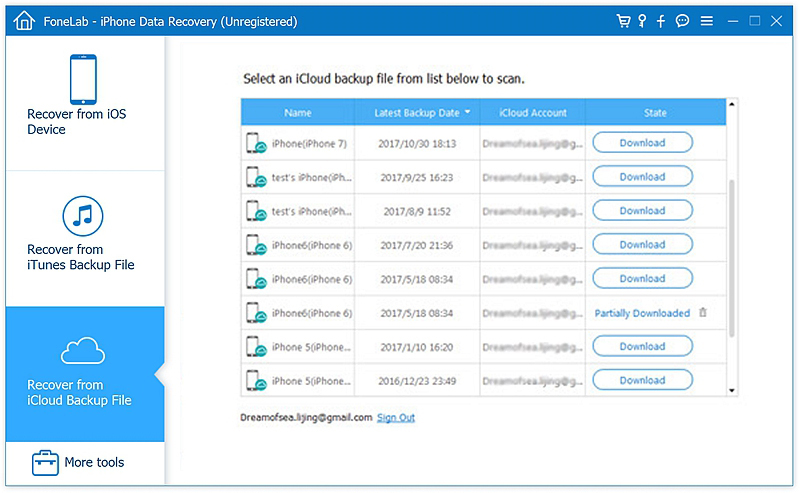 You can easily recover deleted voice memos files from iPhone directly or from iCloud backup file as shown above. In short, the software has made data management more convenient and effortless. We know that the entire data can be recovered from an earlier time iTunes or iCloud backup if you can accept the headache of restoring your iPhone to an earlier date. However, with iPhone Data Recovery software, it is also possible to retrieve only one specific folder like voice memos or a particular App without restoring the whole device.